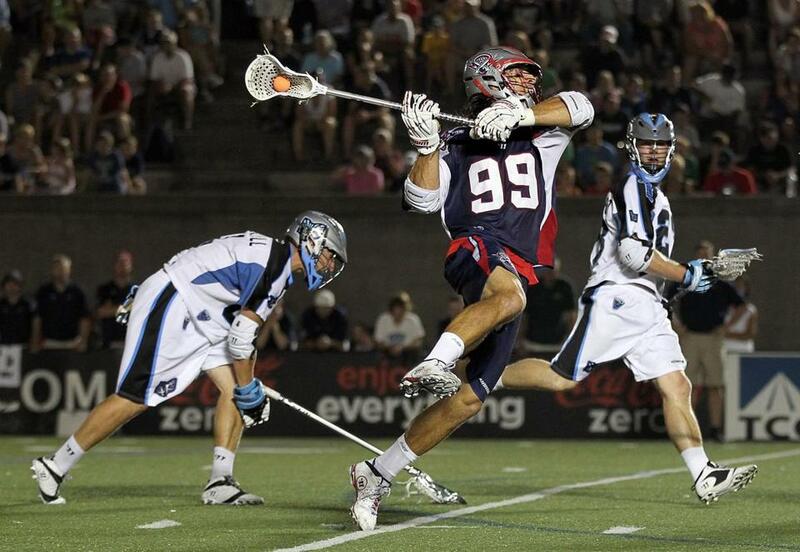 The Cannons will again funnel their offense through Paul Rabil, whose 54 points ranked third in MLL last season. Too many times last season, the Boston Cannons lumbered into irreversible first-half deficits. With one of Major League Lacrosse’s most dynamic scorers in Paul Rabil, they’d often make a late surge, but to no avail. The Cannons, who finished 5-9, ranked fourth last season with 178 goals but surrendered a league-worst 202. Coach Steve Duffy was fired after a 1-4 start, replaced by John Tucker, and it appeared the Cannons addressed their defensive issues as they rallied for four straight wins. But the troubles returned as the Cannons ended the season with a four-game losing streak. To remedy those issues, the Cannons deployed an aggressive offseason approach dedicated toward improving the lagging defense. On Sunday, fans will get their first look at the new defensive unit when the Cannons host the defending champion Chesapeake Bayhawks at Harvard Stadium at 1 p.m. in the season opener. The Cannons’ biggest splash came in November with the acquisition of defenseman Brodie Merrill from the Florida Launch, an expansion team making its debut in 2014 in place of the Hamilton Nationals. In the trade, the Cannons received Merrill, midfielder Martin Cahill, and Florida’s fifth-round pick (No. 37 overall) in the 2014 draft in exchange for the Cannons’ second-round pick (No. 12), defenseman P.T. Ricci, and midfielder Lee Coppersmith. Merrill is a lockdown defender, having been named Defensive Player of the Year six times, and holds the MLL record for career ground balls with 711 in nine seasons. In 2013 while playing for Hamilton, Merrill’s nine goals and two assists tied for most points by a defensemen as he was named to the All-MLL team for the ninth consecutive year. Last season, the Cannons suffered a big blow to the defense early when goalie Jordan Burke broke his hand before the first game of the season. He tried to play through the injury in the first two games and struggled. He sat out the third and fourth games before he returned for the rest of the season, but he was never 100 percent. Tucker said Burke is now healthy after the bone could be reset and rested in the offseason. The Cannons’ offense should continue to be strong, with most of the scoring funneling through Rabil, a veteran midfielder whose 54 points (32 goals, 19 assists) ranked third in the MLL last season. Experienced players such as midfielder Mike Stone and attacker Ryan Boyle give the Cannons a strong presence, but according to Tucker, what will make Boston successful is a strong supporting cast of younger players, led by attacker Will Manny. After wrapping up his career at UMass, Manny joined the Cannons for 10 games last season and finished as the team’s No. 4 scorer with 30 points (18 goals, 12 assists). “I think we have a good combination of younger and older guys, but it’s going to take us time to get the chemistry down,” Tucker said. “It’s understood [Rabil] is the best player in the game, and other teams know that as well. We can’t expect him to carry the load each game, and he’s very willing to share the ball. The other five guys on the field at the same time have to be able to capitalize on attention he draws.